DBO tracks an index which adapts to market structure to maximize positive roll yield and minimize negative roll yield - a process which outperforms alternatives. The methodology used by DBO tests well in that it outperforms the popular USO ETF in 52% of all months for a cumulative net outperformance of 17%. Crude fundamentals are bullish, which means that we're likely to see the backwardated state continue and even strengthen, benefiting holders of DBO. The Invesco DB Oil Fund (NYSEARCA:DBO) is an interesting ETF in the crude oil ETF space. What makes DBO such a unique investment is that it tracks an index which attempts to optimize exposure to WTI futures. This process of optimization has outperformed similar indexes and seems to provide a unique form of exposure to WTI. In this piece, I'll dig into the methodology of DBO and discuss the best times to hold the ETF. I will also dig into the fundamentals of the underlying commodity and show how buying DBO seems like an excellent trade at the moment. To understand DBO, we first need to dig into its methodology. First, DBO is offered by Invesco and seeks to track the DBIQ Optimum Yield Crude Oil Index as well as some exposure to short-term income instruments. This index is created by Deutsche Bank Index Quant group and employs a fascinating adaptive methodology. 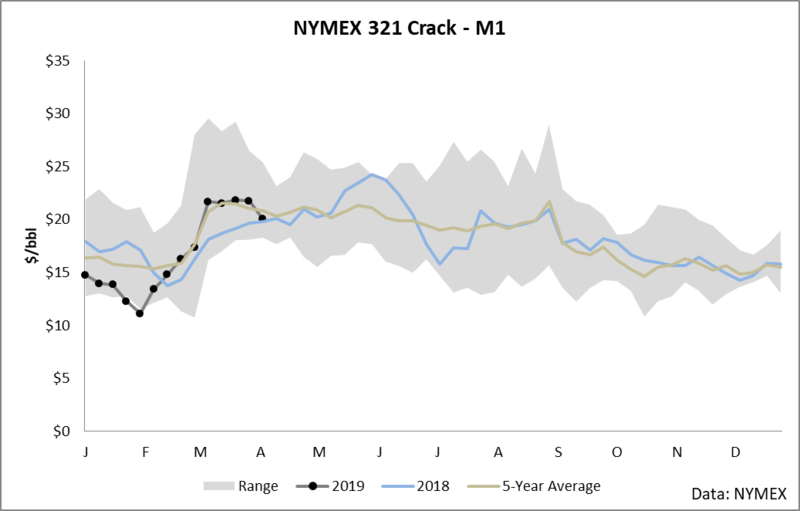 Essentially, the DBIQ Optimum Yield Crude Oil Index attempts to minimize roll yield during contango and maximize roll yield during backwardation. By all appearances, this process seems to be working. 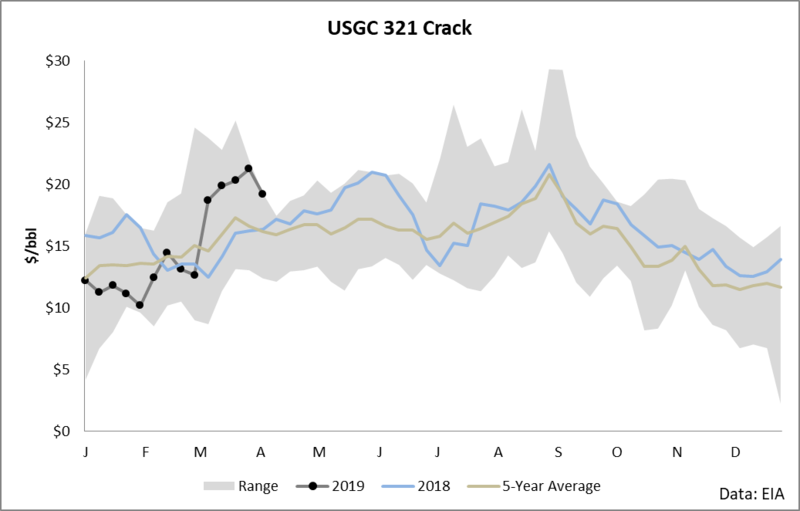 The most popular ETF in the crude oil space is the United States Oil Fund (USO), and it employs a very static roll methodology in that it basically just holds positions in the front two months and rolls during a certain pre-published window. Here's a comparison of the performance of these two stocks. The shaded area shows when the market is in backwardation and when it is contango. What is noteworthy about the above returns is this: DBO seems to be a consistent outperformer versus USO in most periods. Using data since the beginning of 2007, DBO has outperformed USO in 52% of all days. 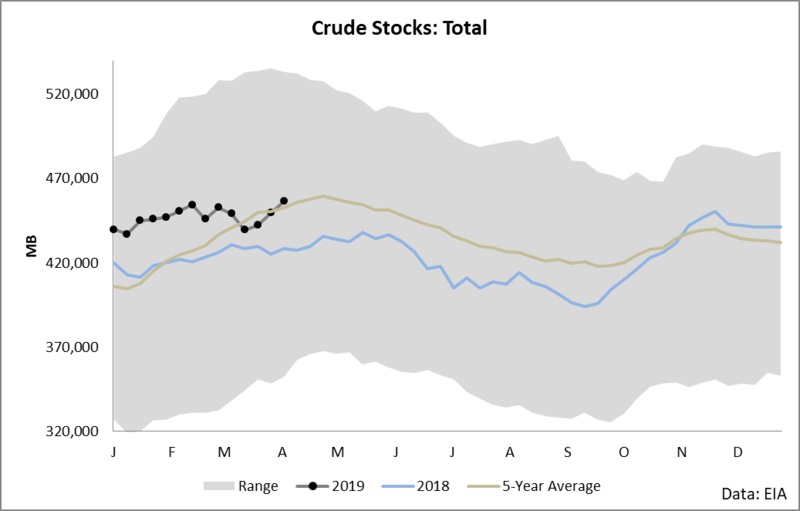 This might not sound like much, but across these 12 years, it adds up to a cumulative difference of around 17% in performance, which means that if you are tracking commodities over the long run, DBO seems to be a clear winner in terms of which product to be exposed to. Okay, that's all fine and dandy - but what is roll yield anyway? Why does it matter if you're exposed to it, and how does it lead to a drag on performance? Glad you asked. The basic problem of investing in the futures market is this: futures expire. This means that if you have something like an ETF that holds futures, at some point, you're going to have to sell out of a position in one month and buy into a position in another month. This is called rolling futures positions, and for large funds and ETFs, this process can take several days or even weeks, and during that process, these funds are holding futures in two separate months. This is where roll yield comes into play. Roll yield is the general phenomenon in futures markets in which contracts in later months tend to trade towards contracts in the front of the curve. This means that if the market is in contango (the front contracts beneath the back contracts), there will be a negative roll yield as futures converge towards the front contract by decreasing in value on a relative basis. Backwardation (front contracts above back contracts) will see positive roll yield as positions held in the back months will appreciate in value in relation to the prompt contract. For DBO, roll yield is used as a weapon to garner excellent returns. According to its methodology, it follows a process by which it attempts to maximize roll yield during backwardation (when it's positive) and minimize roll yield during contango (when it's negative). This process appears to be working, but with one minor hitch. The markets are rarely in backwardation. That's right, over the last 10 years, over 78% of all months have seen the WTI market in contango. When the market is in contango, DBO's strategy is basically risk mitigation - minimize roll yield through choosing instruments with the smallest differentials to hold. The impact of the constant drag of roll yield can be seen in the following chart. This chart shows the cumulative performance of holding USO and DBO versus holding a hypothetical investment in front-month WTI futures. The WTI return is impossible to achieve (since futures expire and rolling must happen before then), but it's the basic benchmark which most ETFs and ETNs want to match. 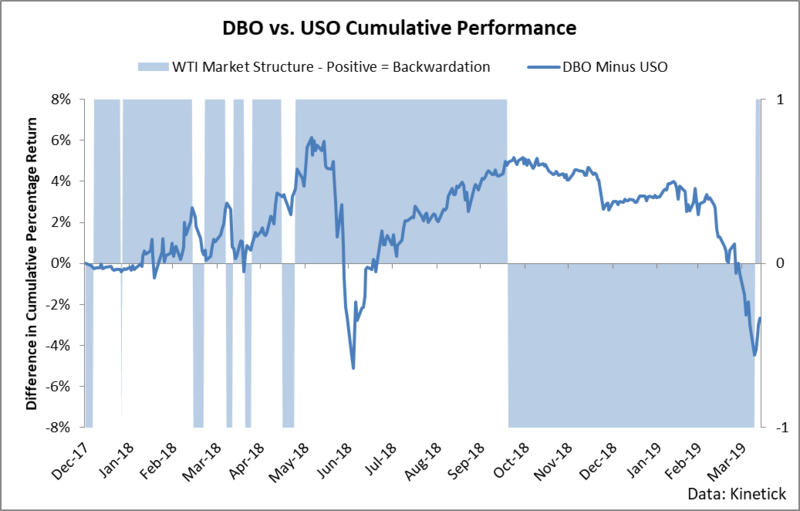 As you can see, both DBO and its popular alternative USO lag the actual performance of WTI by a fair margin simply because of the roll yield associated with a contango market - the market condition which has dominated WTI for many years. For investors in DBO, however, we're in luck. The market has just switched to backwardation over the last 2 weeks as the fundamental picture of crude oil has taken a marked turn. Let's step through the fundamentals and discuss what's happening and why it's likely to continue. First, most fundamental outlooks in the United States should incorporate a 5-year range of inventories to get perspective on current balances versus historic norms. Despite a few weeks of builds, crude inventories have largely lagged the trajectory and direction of the 5-year average of stocks since mid-February. This tangibly means that the supply and demand balance is leaning towards undersupply versus historical averages for a number of reasons. 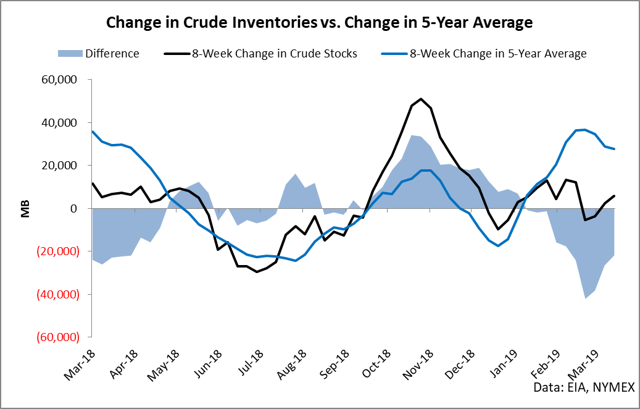 Seen another way, here is the difference between the two-month change of inventories and the 2-month change in the 5-year average. As you can see, the market began drawing versus historic levels sometime during January and February and accelerated through March. This drawdown corresponds to the run-up in prices and, if it continues, will likely lead to even higher prices. It is my belief that we will see this draw continue for a few reasons. First, crude imports have fallen pretty heavily and remain weak versus the normal 5-year average level. 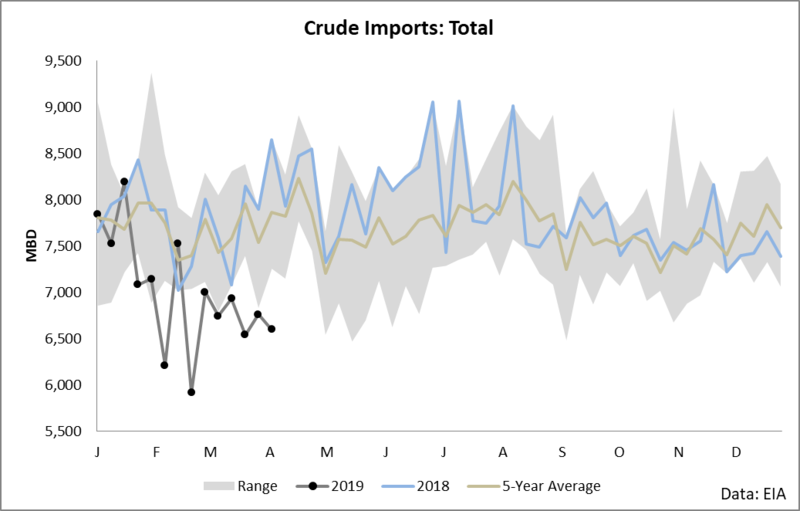 This unusually low level of imports started since late January, and since then, each week has averaged 917 thousand barrels per day less than the 5-year average for that week. This cumulatively amounts to a difference of 64 million barrels, which would have entered the balance during this period if imports had been "normal" and not fallen so hard. 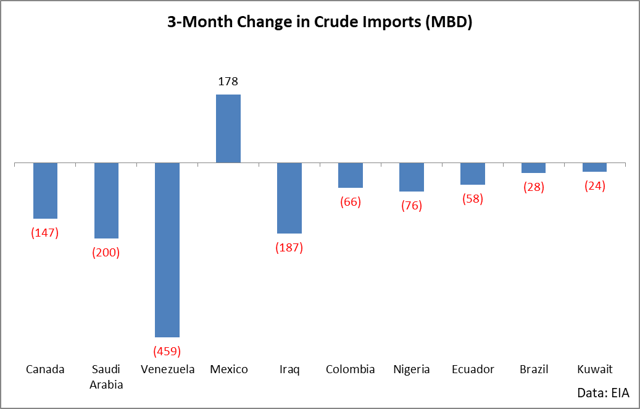 The market often cites OPEC cuts and the Venezuelan import ban as the driver of decreasing exports. To an extent, this is true, but taking a high-level view at imports from our major suppliers will show a pretty clear picture: it's across the board. Over the last 3 months, we have seen a drop in imports from every supplier except for Mexico. Venezuela is the major outlier with a complete 100% cessation of supply, but every one of our top suppliers has reduced delivery in the last 3 months. The other force impacting the supply and demand equation is refining. Refining demand has been very strong this year. Until the last 3 weeks, refining runs were substantially above the 5-year average. In fact, this year, refining has consumed 40 million barrels more than the 5-year average historical level of consumption. Recent weeks have seen run-cuts, but I believe in the immediate future we're going to see a surge in additional demand as strong rallies have been seen in all major cracks including NYMEX, the U.S. Gulf Coast, New York Harbor, and Los Angeles. Refineries, which are by far the primary demand source for crude oil, tend to make lagged decisions. 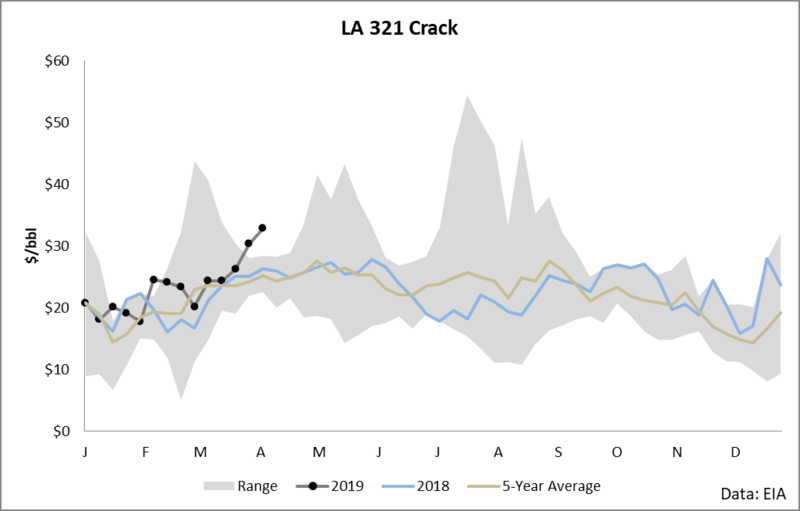 In other words, it takes a few weeks of adverse crack spreads for cuts to emerge and a few weeks of heightened margins for runs to increase. The recent surge in cracks means that we are likely to see increased runs in the near future. 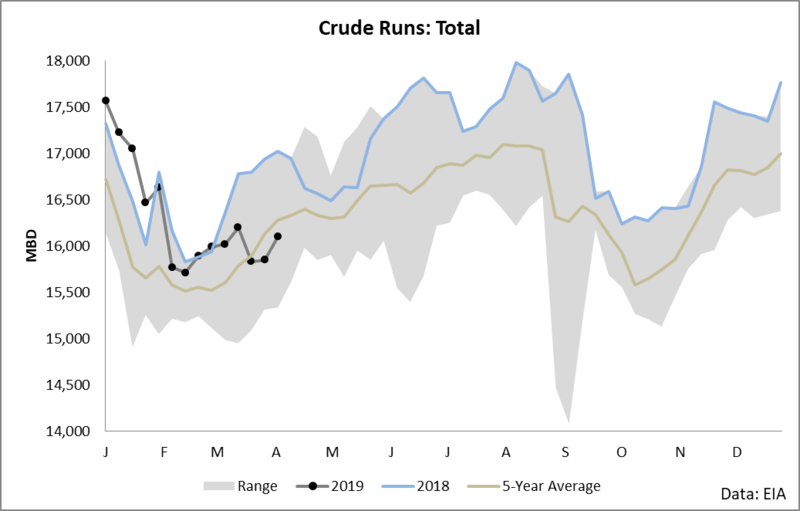 When you combine this with the fact that we're entering driving season within a few weeks, demand for crude oil is poised to surge strongly in the immediate future. 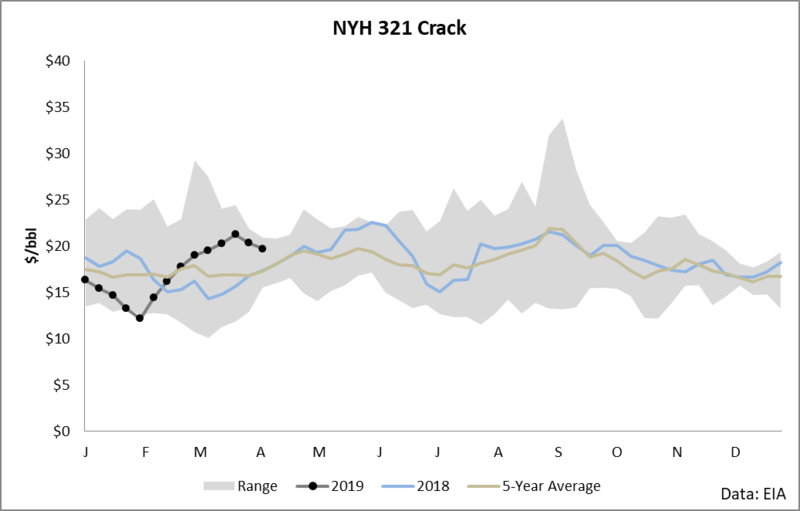 Given the combination of weak imports with an immediate catalyst for strong demand, the fundamentals are a strong buy for crude oil and strongly supportive of prolonged backwardation. 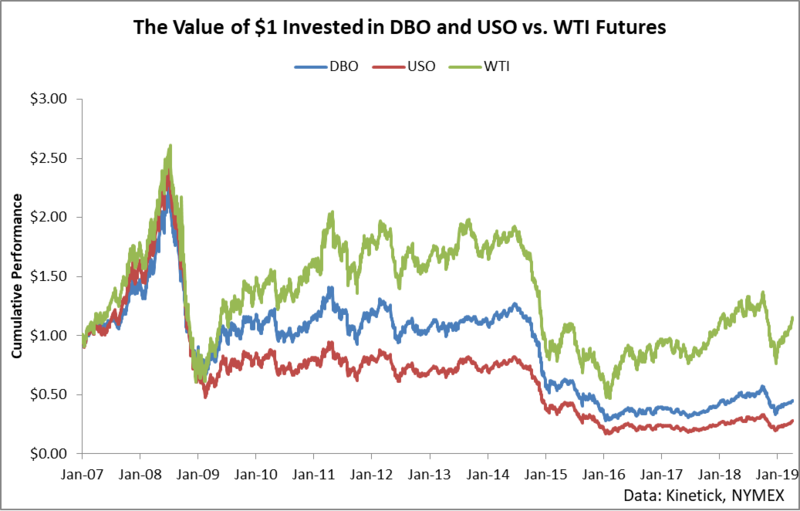 It is my belief that as long as we see backwardation, DBO remains an attractive investment in the commodity ETF space. DBO benefits from market structure during times of backwardation by seeking to maximize roll yield, and we are entering a period in which we are likely to see fairly steep backwardation. In other words, it's a great time to be holding DBO, and I believe it will remain a strong investment until summer driving subsides which will happen sometime around August.